Replacing the Infor system written in Germany and used at AKI for the past seven years, a new WinMan ERP system is going live at A K Industries. It is intended to take the company up to the stage of a fully integrated manufacturing management, accounting, estimating and company relationship management (CRM) system. The Infor system revolved around cumbersome manual data entry, not realtime data as provided by WinMan. 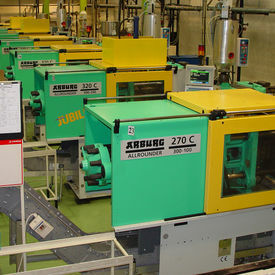 Allen Green, Managing Director of A K Industries, comments: “We regard WinMan as essentially a tool for business improvement because it will impact favourably on all areas of our business, over and above shopfloor operations, and work out cost-benefit analysis and realtime snapshots helpful to management decision-making and control. “WinMan will pull together disparate satellite systems such as sales database and accounting packages which we would use outside our previous ERP system Infor. In many cases manual data entry, time-consuming and naturally open to human error, will be superseded by automated solutions. the attachment of all associated documentation to the Bill of Materials (BOM) aka Bill of Structure.